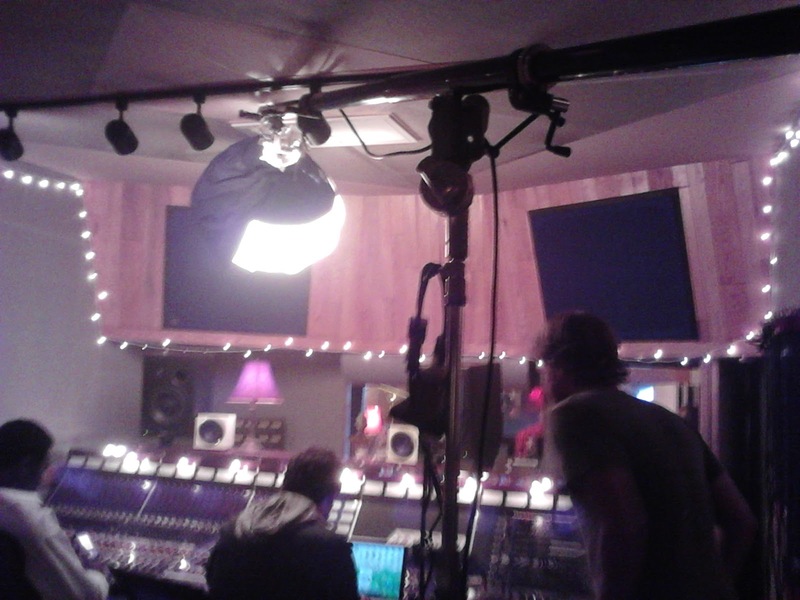 NBC's The Voice stopped by New Monkey Studio recently and filmed a segment featuring singer Dia Frampton, I was tapped to engineer for the song portion. Our usually quiet back alley and parking lot was transformed into a movie set as the trucks rolled in and the crew went busily to work. They decided to light the studio and used a giant mirror in the back alley to reflect the sun right into the studio back door, down the hallway and into the control room. It lit up the rooms bright as day! Probably a common filming trick, but pretty cool for us musicians. As you can see the footage came out great, especially the wall of amps, the Neumann U48 and the Trident A-Range mixing board. Thanks to The Voice and Dia for stopping by!